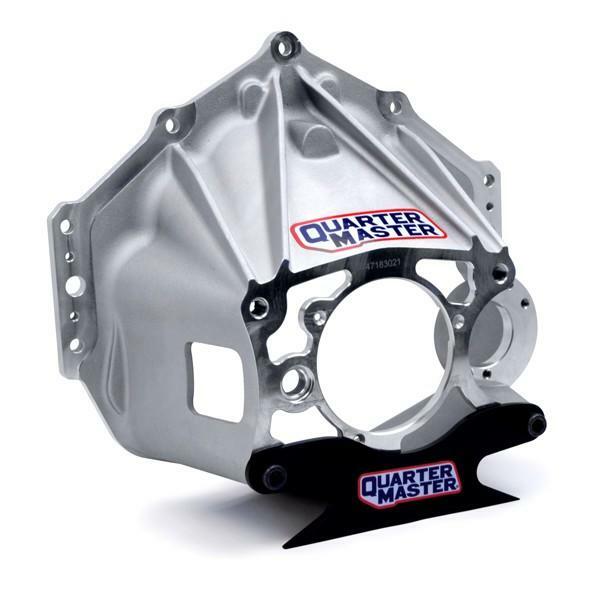 Quarter Master Bellhousing - Reverse Mount UNIVERSAL - Dezod Motorsports Inc - Home of the automotive performance enthusiast since 2002. Quarter Master Reverse Mount Bellhousings are engineered with a durable, clam-style shape that strengthens stress bearing points and decreases spline wear. These FEA software-designed bellhousings eliminate flexing, true up clutch alignment and decrease wear on internal transmission components. CNCmachined with stiffening ribs on top, Quarter Master Reverse Mount Bellhousings offer state-of-the-art performance and long lasting durability.